Fighting obesity with nanofoods - will the public swallow? 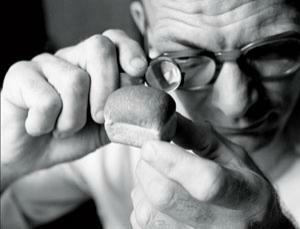 It's a small food revolution (Image: Hulton Archive/Getty. NOTHING says summer holidays quite like ice cream. On a hot afternoon by the sea, there's little to beat the simple pleasure of a cooling scoop of your favourite flavour. Can food get much more satisfying than this? Vic Morris thinks it can, with the help of nanotechnology. He is part of a team tweaking foods to trick the body into feeling pleasantly full long after the final mouthful - and without overeating.